Chris and Sebastian. 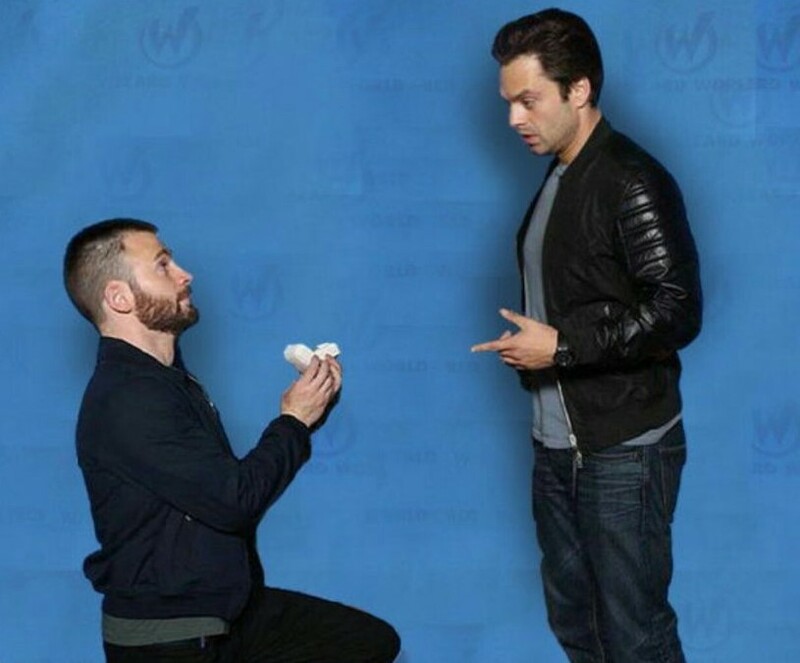 Chris (fake) proposing to Sebastian in photo op at Wizard World Philly 2016. HD Wallpaper and background images in the Chris Evans & Sebastian Stan club tagged: chris evans sebastian stan wizard world wizard convention photo op 2016. This Chris Evans & Sebastian Stan photo contains bien habillé personne, costume, costume pantalon, tailleur-pantalon, pantalon costume, pantsuit, personne bien habillé, and pantalon de costume.